Veggy Malta went to Good Earth San Gwann, a health shop opened some months ago. It is Good Earth Food Stores’ largest shop. The other shops are in Balluta, B’Kara (inside Smart Supermarket) and Valletta (inside is-Suq l-Antik). The shop isn’t overpowering and doesn’t give you a feeling a wanting to oversell you products. There is a big open space in the middle of the shop where there are tables with all sorts of information leaflets and also books and food to go through. The shop is totally different from the first shop Matthew de Giorgio opened years ago in Balluta. But the health food industry has evolved and also have the consumers. As Matthew well said, we are in a faster pace of life than ever before. Fortunately people are realising that they need to be the keepers of their own health. Food is intake, once it is in you, it’s there. As already mentioned Good Earth San Gwann is large and spacious. This gives room for ample products and selection. 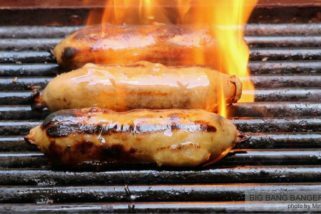 In fact there is a wide variety of food stuffs including gluten free ranges, dairy free ranges, protein supplements (even vegan protein shakes), and food that can suit a variety of intolerances. The gluten free range includes pasta, protein bars, breakfast cereals, cake mix, cookies, and bread. A range of Japanese food including amazake, miso soya sauce aged in wooden kegs, rammen noodles, seaweed range and tofu. 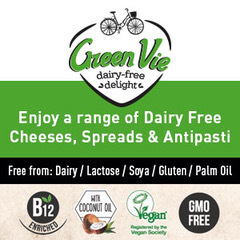 For who wants dairy free products they can find dairy free cheese, a variety of alternative milks and yoghurt. There is a wide range of teas including organic teas and herbal teas. Plus other hot drinks with guarana, barley and coffee. A selection of unrefined sugars with the beverages including products labelled fair trade. One would obviously expect a Good Earth shop to have a complete range of rice and grains, beans and lentils, nuts and seeds, plus flours and flakes. The organic section includes bee pollen, chlorella, hemp protein, acai berry, cacao, chia seeds, baobab and more. There also is a complete section of supplements and vitamins, essential oils and body care products. This is an ideal destination for whoever is looking for healthy and natural foods, for vegetarians and vegans and for those looking for gluten free and dairy free (and other free from). Good Earth San Gwann is conveniently located in Vjal ir-Rihan which is a side road just parallel with Triq tal-Balal. Just next to Bo Concept. Most of the times you will find parking just in front or round the corner. The shop is open Monday to Friday 8.30 am till 7.00 pm and Saturday 9.00 am till 1.30 pm. I hadn’t realised that Good Earth has opened a new shop in san Gwann…this is more convenient for me. I hadn’t seen it before. Great to know. Hi would you also have coconut flour, and coconut cream please? Als the main road open for traffic at the moment? This shop is truly nice to visit and so pleasant … totally like, it’s doesnt feel so much like a shop … with the books and all.